Banglalink and ZTE have completed the migration of 60 million legacy users to the world’s largest virtual Subscriber Data Management (vSDM) platform in Bangladesh. India’s sixth largest operator Reliance Communications has called for government intervention to ease the debt burden and fierce competition faced by players in the telecoms industry. The government of Pakistan is introducing tax breaks for the mobile sector, lowering tariffs and duty on both devices and services. Pakistani market leader Jazz was the only bidder in the country’s latest spectrum auction, underlining that the country’s operators lack an appetite for further spectrum acquisition. IPSTAR International has chosen the Jupiter System from Hughes Network Systems to extend the reach of broadband throughout India. Apple has begun manufacturing iPhone SE handsets in India, and will begin selling them in the market as early as this month. Indian mobile wallet firm Paytm has set 23rd May as the launch date for its payment bank. FreeConferenceCall.com is launching its services in Afghanistan. Plintron is entering the Indian telecom market after receiving the country’s first unified licence specifically for MVNOs. The Competition Commission of India (CCI) is investigating allegations that India’s three largest operators colluded to block newcomer Reliance Jio’s access to Points of Interconnection (PoI). 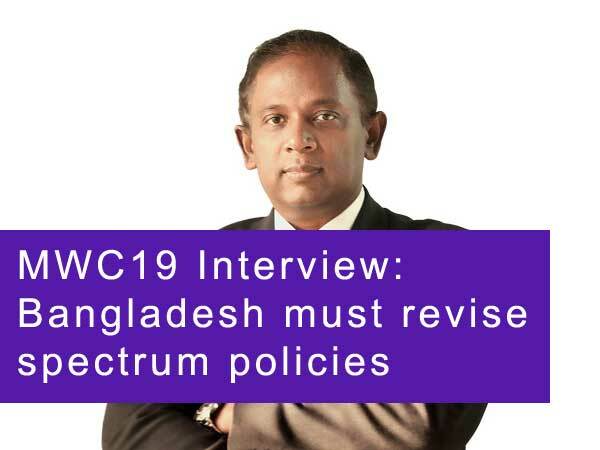 The GSMA has expressed concerns about the Bangladesh Government’s plan to impose higher fees for 4G licensing ahead of the next round of spectrum auctions. Indian smartphone consumers still favour ‘offline’ retail outlets over online purchasing, according to new research by IDC. Vodafone India has launched a new Wi-Fi network aimed at enterprise customers as it looks towards the corporate sector for further growth. Sri Lankan number two Mobitel is set to be spun off from its parent firm, the state-owned Sri Lanka Telecom. Facebook has launched its Express Wi-Fi service in India. The first quarter of 2017 saw a return to growth for India’s smartphone market, with over 27 million units shipped marking a 12% year-on-year increase. Telia has succeeded in divesting its 60% stake in the parent company of Tajikistan’s Tcell. NTT Communications has acquired a Virtual Network Operator – International Long Distance (VNO-ILD) licence in India through its affiliate, NTT Communications India Network Services (NTTCINS). The Cellular Operators Association of India (COAI) has expressed its preference for the country’s next round of spectrum auctions to be postponed to late 2018 or early 2019. Bangladeshi operator Banglalink has contracted ZTE to build what will be the world’s largest virtual subscriber data management (vSDM) platform. Apple is set to begin trialling smartphone production in India from May without waiting for a governmental response to its tax concessions plea. China Mobile’s Pakistani unit Zong has pledged that it will upgrade all of its mobile base stations to 4G by the end of 2017. Days after TRAI’s recommendation that it shutter its latest free offer, Reliance Jio has launched low-rate unlimited data plans. Indian regulator TRAI has effectively blocked Reliance Jio’s free offer for new signups to its Prime membership. Telenor is selling a 4% stake in Veon – formerly VimpelCom – for around $259 million. The most successful 4th edition of India m2m + iot Forum was held on 6 – 7 March 2017 at India Habitat Centre, New Delhi, India. Reliance Jio is extending its free service promotion across the summer, adding an extra three months during which its subscribers can access free voice and data. Chinese device manufacturer Xiaomi is lining up a further $500 million investment in India, which the firm has described as its most important overseas market. Tajikistan’s Anti-Monopoly Service has failed to provide approval for Telia’s arranged sale of a 60% holding in the parent firm of Tajik operator Tcell by the required deadline. The Pakistan Telecommunications Authority (PTA) has established reserve prices for the 1.8GHz spectrum scheduled for auction. In a bid to reduce its debt, Bharti Airtel has sold a 10.3% stake in its tower unit Infratel to a group of investors. Indian market leader Bharti Airtel is acquiring the 4G unit of Tikona Digital Networks. Apple’s request for receive tax incentives for manufacturing in India has been denied by the country’s Department of Revenue. India has become the twelfth market to receive Samsung’s mobile payments service. Reliance Jio has deployed Ciena’s multi-terabit converged packet-optical technology to power its pan-India 4G network core and help unleash digital revolution in India. Afghan CDMA operator Wasel Telecom has partnered with SpeedCast International to connect residents in remote villages in Afghanistan. The Competition Commission of India (CCI) has approved a proposed merger between Aircel and the wireless unit of RCom (Reliance Communications). India’s state-owned provider BSNL is upgrading all of its 2G sites to 3G base stations and deploying 4G services in certain areas across the next fiscal year. The Reserve Bank of India is reportedly drafting guidelines that will allow for direct money transfers between the apps of different mobile wallet providers, removing the need for a traditional bank. Indian newcomer Reliance Jio is collaborating with Google to develop a low-cost 4G smartphone that can only be used on its network. Airtel Lanka is deploying Gemalto's Device Management platform in Sri Lanka, enabling its subscribers to have instant access to 4G data services such as email and internet. Pakistan’s Spellflix has selected Fortumo to provide carrier billing for its movie streaming service. Upstart Indian operator Reliance Jio has struck a deal with Uber to allow the platform’s users to pay their cab fares via its JioMoney digital wallet. Samsung is reportedly looking to release a modified version its disastrous Galaxy Note 7 device to emerging markets in 2017. The second and third largest operators in India look set to close a merger within weeks, in a deal that would see the resulting entity become the country’s market leader. Reliance Communications has opened discussions regarding a potential merger with Tata Teleservices in order to strengthen its presence in India, where increased competition is driving a trend towards consolidation.